In addition to odor and pollutants, an unchanged filter can lead to a decrease in your heating and air conditioning performance due to restricted airflow through the cabin air filter. Fortunately, cabin air filters can be changed in as little as 10 minutes at Toyota of Louisville in Louisville, KY, where we offer excellent service specials. We recommend replacing your cabin air filter every 30,000 miles or 36 months under normal driving conditions. 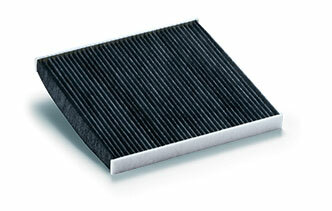 However, if you drive in dirty/dusty conditions, cabin air filter replacement may be required more often. When in doubt, check your vehicle's Scheduled Maintenance Guide or simply come see us at Toyota of Louisville in Louisville, KY, where we proudly serve customers from St. Matthews, Louisville and .